Denver Broncos' John Elway looks back as Chicago Bears' Al Harris closes in on him during second quarter action in Chicago, Oct. 2, 1983. 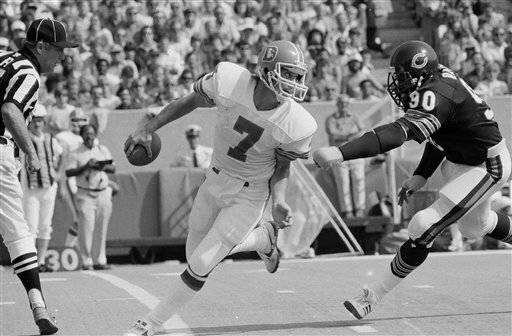 Elway was sacked for a loss of 11, one of nine sacks by the Bears for 71 yards. Chicago won, 31-14.